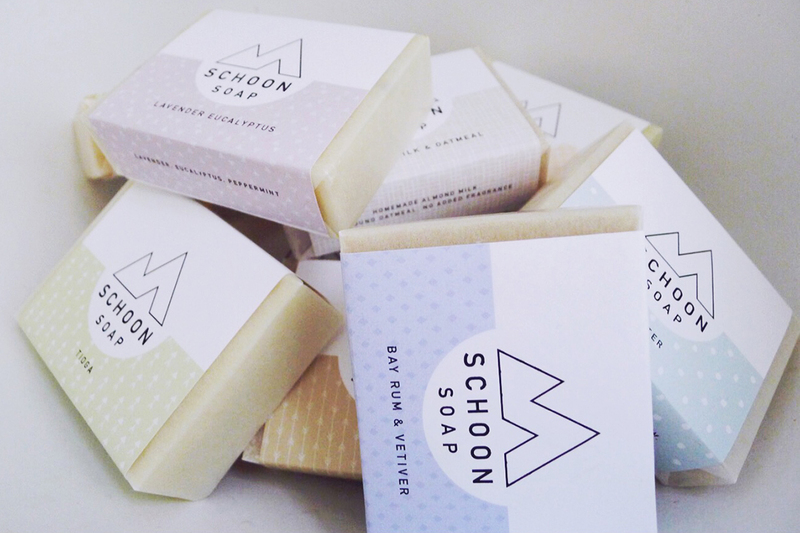 Brooklyn-based Schoon Soap needed a fresh look for their new line of handmade vegan soaps. 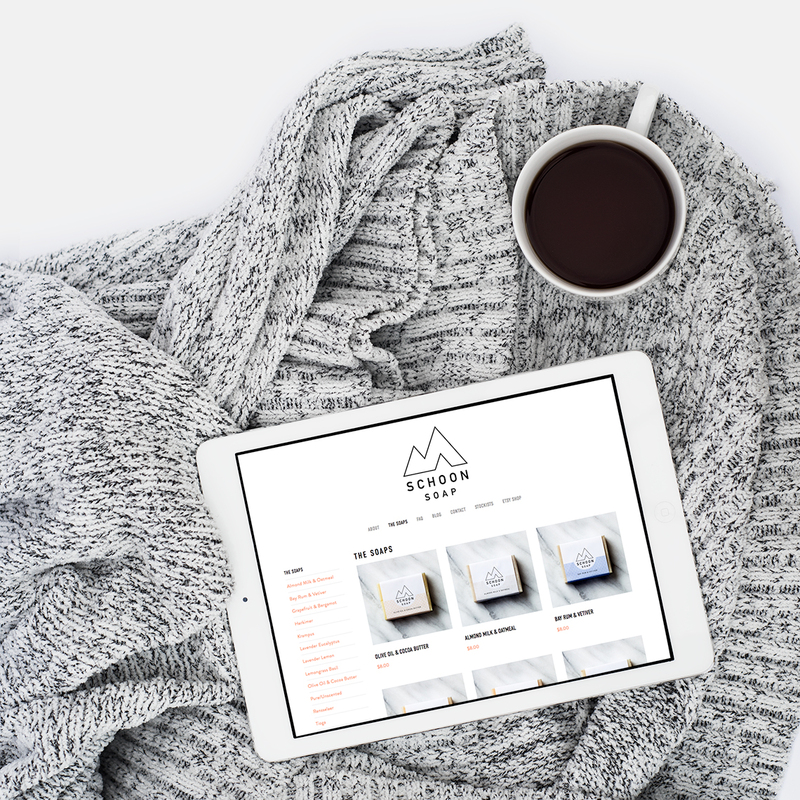 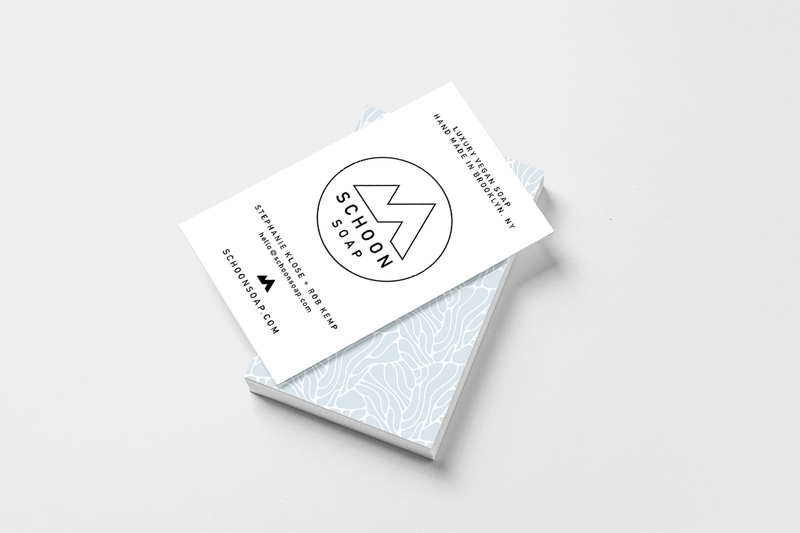 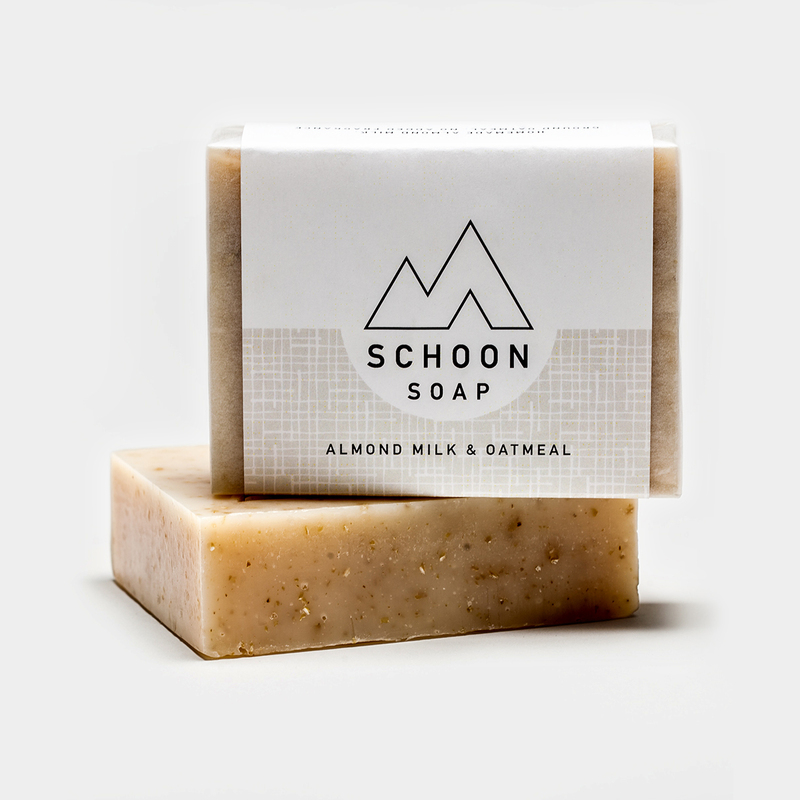 From the logo—inspired by the mountains of the Upstate New York regions that in turn inspired the various formulas and fragrances of the soaps—to the packaging to the website, every aspect of Schoon’s branding was designed from the ground up. 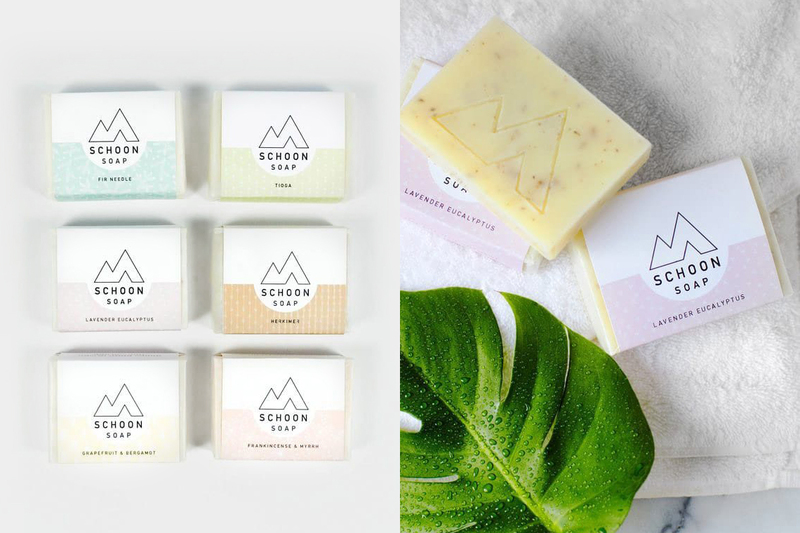 A stamp was created to emboss the bars, and each variety has its own unique color and pattern on the wrapper.